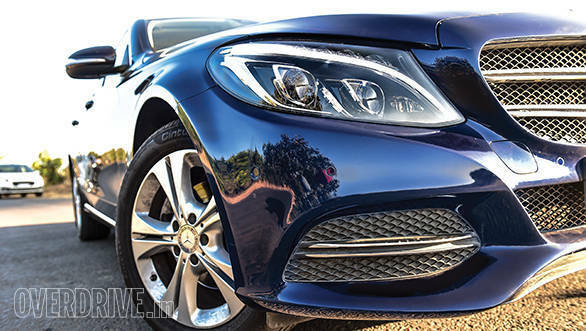 One year ago, Mercedes-Benz blew our socks off with the brand new C-Class. With its S-Class inspired style, stunning cabin and impressive driving experience, the C-Class dominated. The segment was left reeling with the Audi A4 at the end of its life cycle and the BMW 3 Series getting a minor refresh only recently. Finally, someone is here to challenge the C-Class' supremacy and it comes from Britain. 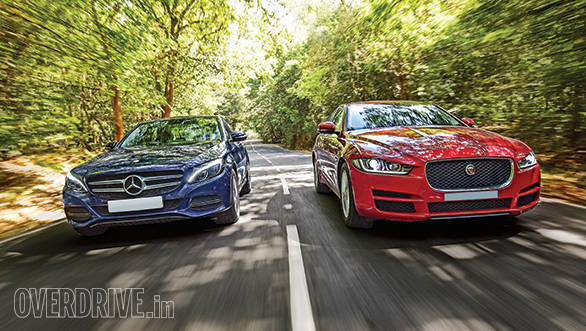 Just launched at the 2016 Auto Expo, the Jaguar XE looks armed to give the Merc a serious run for it's money. For now the XE is only petrol powered but a comparison with the segment king can't wait for the more important diesel to arrive. The claws are out! 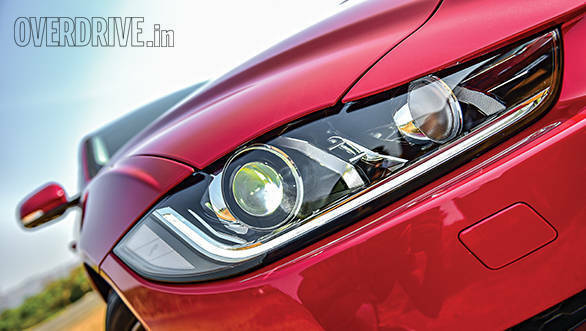 Let's not dilly dally  the XE is the best looking car in the segment, period. The exterior is lithe, muscular and uses tight lines that make it look mean and purposeful. I love how the sharp, XF like bixenon headlamps flank the bold almost Maserati-like grille The rear end is equally muscular with an integrated lip spoiler and squared off wrap-around tail lamps that light up like an F-Type. Adding to the sense of purpose are dual exhausts that emerge as straight metal pipes from the catalytic convertor without any muffler tips. The drama continues in the cabin with a lovely wraparound dash that emulates a speedboat in the way it merges into the door. The doors themselves are a bit busy with three layers that have been designed to merge into the dashboard. It would appear that form follows function here and the position of the power window buttons is a little counter intuitive. 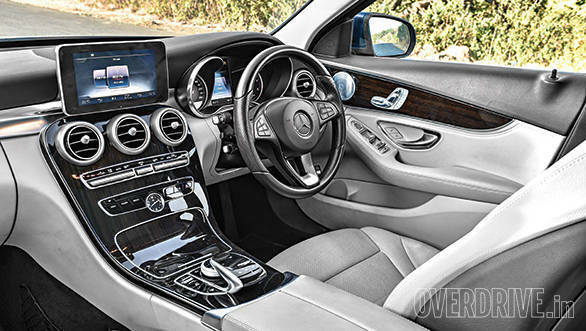 While the Jag's layout doesn't appear quite as special as the C-Class, it actually uses better feeling materials. We especially love the leather wrapped dashboard and the dark tan leather seats that make it to the Portfolio trim. The 8-inch touchscreen for the new InControl infotainment offers rich graphics. The issue lies in the rather cramped backseat. 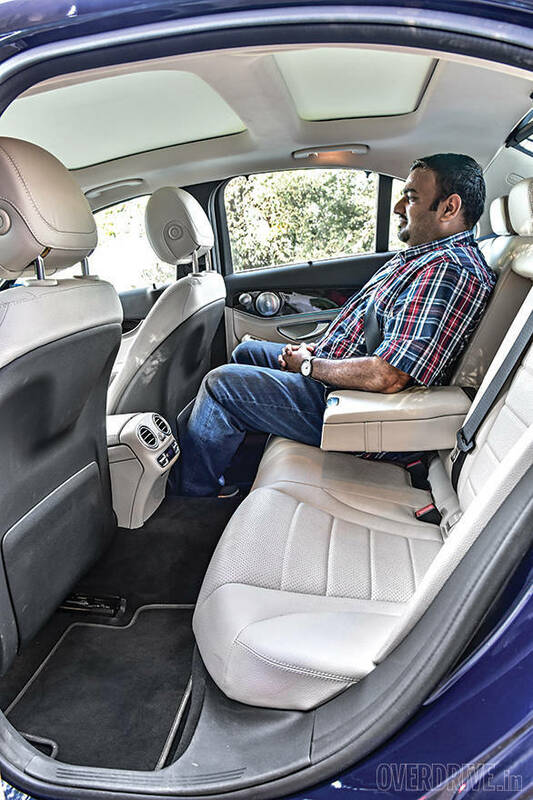 With a tall driver upfront, the rear passenger will not have much space between his knees and the hard seatbacks. Likewise, rear headroom isn't great either thanks to the sloping roofline and my head was in permanently contact with the roof. It won't be so bad for someone of average height but the back seat isn't going to win the XE any awards. Based on the S-Class design, the C was bound to be a good looker but I get the feeling that these lines need mass to look good. 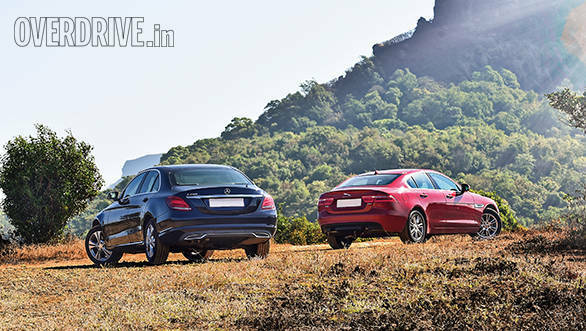 While the S-Class will be forever remembered, the C doesn't have the same effect, especially at the rear which looks a bit frumpy in comparison. It's a very nice looking car but parked next to the Jag it tends to pale a bit. Once you open the door, all that changes. Even a year down the road, the C-Class cabin feels like it was pulled from a segment above and comes across as more ergonomic than the Jag. Last year, we called the C's rear knee and headroom average but it is definitely better than the Jag. Visibility is better too and the cabin feels more airy. 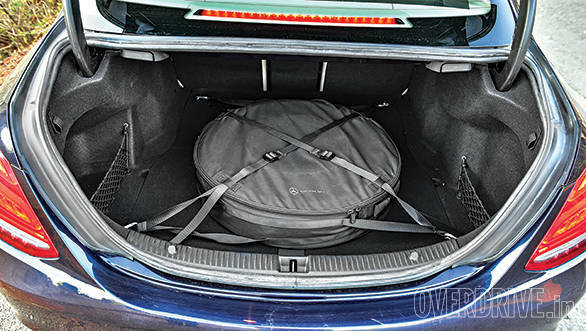 Both have shallow boots but the C-Class has no provision for its space saver tyre and it is strapped to the boot floor. 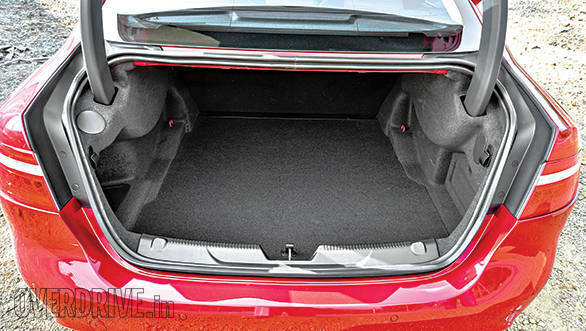 The XE neatly integrates its space saver under the boot floor. So despite its rather compact boot the Jag will hold luggage better. 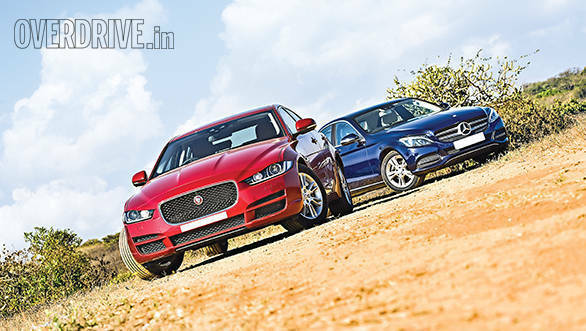 The XE is only available in two petrol variants. Both displace 2.0 litres but the base Pure makes 200PS/320Nm while the top Portfolio we have here has been boosted to 240PS and 340Nm. The engine is highly refined and almost inaudible at idle. Three driving modes are on offer. Sport and Normal don't feel very different except for steering feel but we found that Eco works best for city as it tones down the sharp throttle from the other two modes. No matter the mode, midrange is very punchy and power builds strongly above 2,000rpm. It feels explosive from 3,000rpm to just over 5,500rpm before the surge begins to taper off. 0-100kmph takes a brisk 7.2s but it still can't match the (now sadly discontinued) BMW 328i's blistering 0-100kmph time of 6.53s. Nevertheless, the Jaguar XE feels very fast but is also happy to settle into stress free cruise. Speeds upto 160kmph are effortless where the engine purrs just below 3,000rpm in eighth gear. 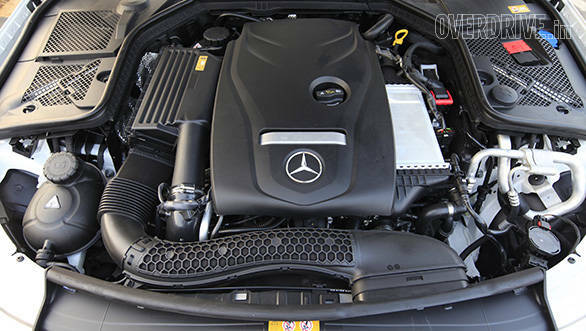 In theory, the C-Class' is quite outclassed with 184PS and 300Nm from its 2-litre turbocharged 4-cylinder petrol. But the difference isn't so stark in reality. It definitely isn't as punchy in the midrange but still very brisk and we recorded a 0-100kmph time of 8s. 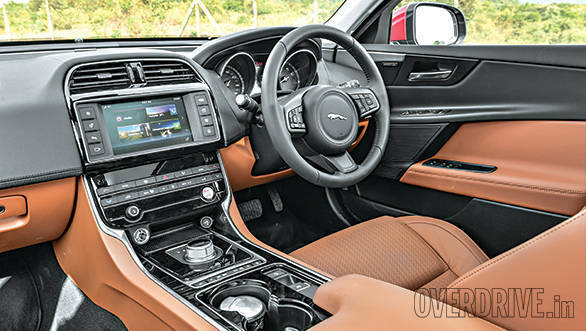 The C also offers driving modes that affect engine mapping, steering weight and climate control but Mercedes one-ups the Jag with the option of a customisable Individual mode. 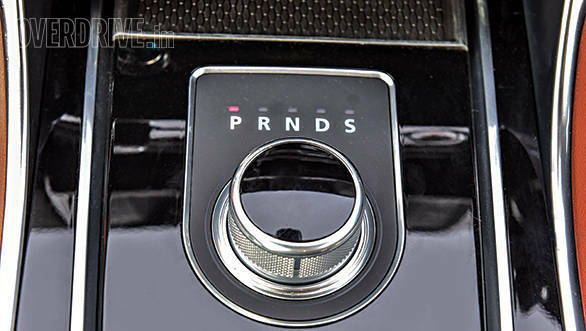 We still prefer the Jaguar's nippy 8-speed auto over the Merc's 7-speed automatic and both have paddle shifters. Naturally, the C 200 is very refined and smooth but the Jaguar is better still. 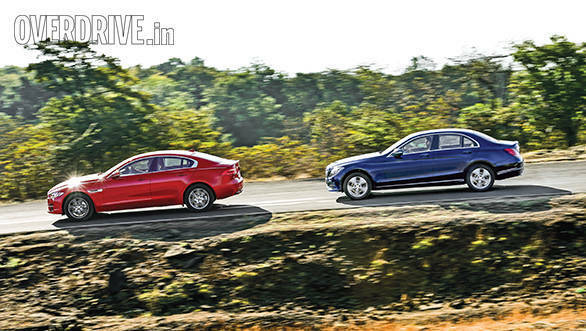 The Merc does have the upper hand slightly in efficiency, returning 11.8kmpl to the Jag's 11.1kmpl. Going by the power figures, I was expecting the Jag to be stiffly set up but it surprised with a supple ride quality that, while firm, absorbs bumps quite well. The firmness translates to a sharp chassis while the quick and direct electrically assisted steering actually offers a decent amount of feedback. There's a lot of front end grip and the rear is willing to slide a bit on corner exits with the traction control turned off. There isn't enough power to make it drift at will but if you throw it into a corner aggressively it will get quite sideways. Understeer is well controlled and only emerges when the pace gets very high. We also loved the brakes that offered strong and consistent performance through the firm pedal. Ironically, the Merc is the stiffer car here and it doesn't deal with bumps and irregularities quite as well. On a smooth road, the difference isn't much but the Jag rides better on Mumbai's bumpy surfaces. Highway manners are impeccable but NVH levels are slightly higher in the Merc. Handling is quite good too and the C has plenty of grip and agility. The difference is largely that the C-Class does the job well while the XE makes sure you have a great time doing it. The Jaguar XE is a lovely, lovely car but it has two shortcomings. 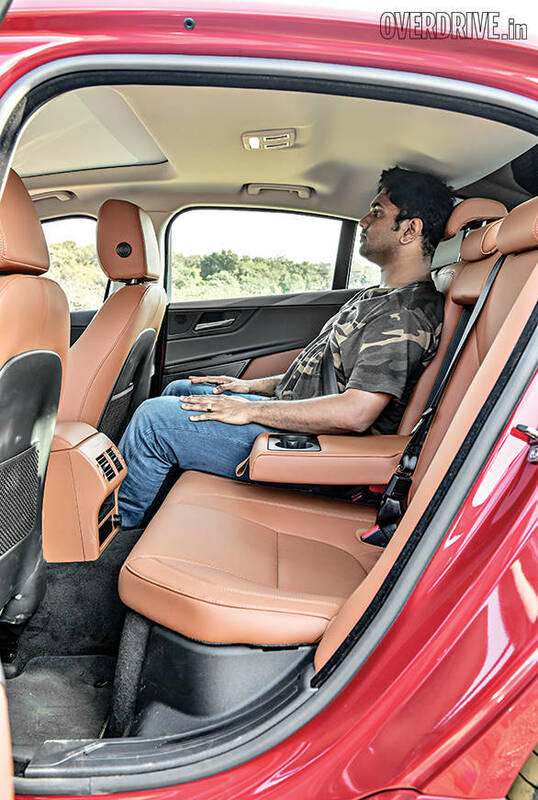 The first is rear seat space which isn't so serious as a lot of customers in this segment tend to drive themselves. The bigger problem though is price. The Portfolio costs Rs 55.7 lakh (all prices on-road Mumbai) which is a massive Rs 8.5 lakh more than the Rs 47.2 lakh C 200 Avantgarde. 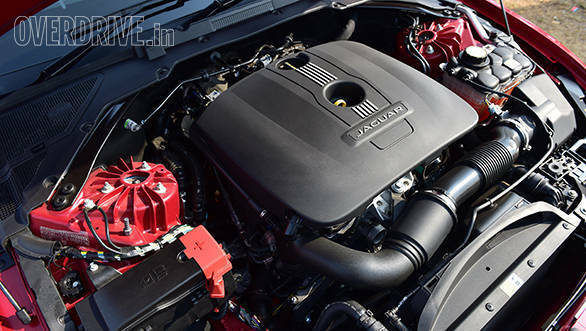 For Rs 47.9 lakh, the XE Pure may sound like a much better deal, being just Rs 70,000 more and still offering more power but it loses more than just 40 horses. Instead of a 380W 11-speaker Meridian system that rivals the lovely Burmester system in the Merc, it only gets an 80W 6-speaker system and the bixenon HID lamps are replaced by a set of halogen headlamps. 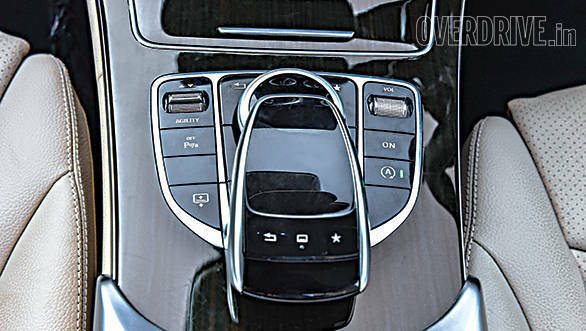 Even the keyless entry has been dropped. As a driver's car, the XE is clearly the better choice but logic dictates that the Mercedes must win, especially considering that it offers features like LED headlamps as standard. If Jaguar were to offer a Portfolio version with the 200PS engine, it would be a serious rival to the C 200. Even if it was a couple of lakhs more expensive, we'd still recommend it. 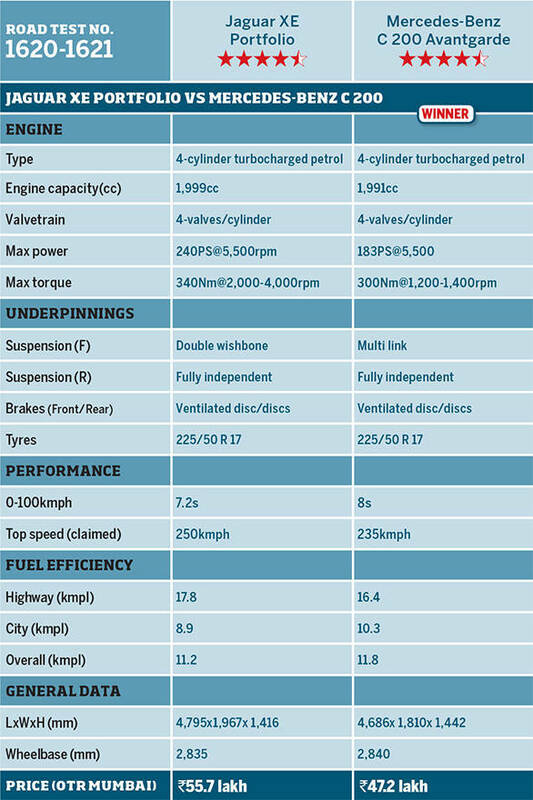 Hopefully, Jaguar will make the pricing for the diesel models more competitive. For now, the C-Class is a hard act to beat.